Who are the biggest hitters in the UK gambling industry? 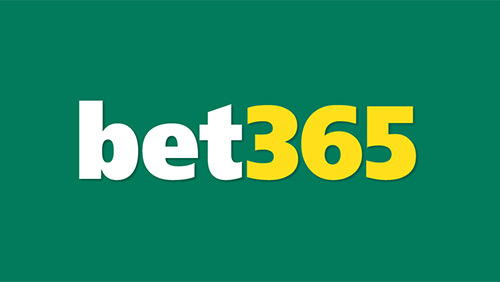 According to the annual outing of the Sunday Times Rich List it’s Peter, Denise and John Coates, who have become the first billionaires of the UK betting industry, with their Bet365 baby pulling in an estimated £1.2bn fortune (more than the combined wealth of The Queen, Elton John, Jamie Oliver and David Beckham). It’s been a fantastic year for the Potteries based family. Not only has their online business been bringing in the bucks, but their side ventureStoke City enjoyed the highest Premier league position in their existence, after the appointment of Mark Hughes helped catapult them to a ninth place finish. So who else was making a splash in an ocean full of cash? Talal Shakerchi is a name that should be familiar with CalvinAyre readers. He recently spoke to us about the action in the High Roller events, and whilst he is not in the gambling industry per se, his success at the poker tables means our beady eye will be kept on him. The founder of Meditor Capital appears in the Sunday Times bible on two occasions. Not only does his £100m fortune warrant a 898th placed berth, but he is the only recognized face in the Sunday Times Giving List with an estimated 4.79% of his wealth being donated to ‘various’ beneficiaries. Another top class businessman who likes to play some high stakes poker in his spare time is Paul Newey. The 45-year old sold the Tamworth based Ocean Finance in 2006 for £200m, and he played alongside Shakerchi in the 2012 BIG ONE for ONE DROP at the World Series of Poker (WSOP). Newey once again making the grade in the list that he doesn’t really want to be on. None of the 25 richest people in Europe had anything to do with gambling, but we still have quite a few people to mention in the UK top 1,000. Fred and Peter Done enter the list at number 107. The Betfred owners have an estimated £950m fortune, and quite a diverse portfolio; with Peter’s involvement in Peninsula Business Services, Fred’s involvement in his truck stop business, and they also own some sought after property including Mosley Street Ventures in Manchester. Other online gambling fat cats include Ruth Parasol and Russ Deleon – who together are worth an estimated £740m. Parasol was the founder of PartyGaming and made a mint during the merger with Bwin. Parasol wasn’t the only person to make her fortune from the once mighty PartyGaming outfit. The former Marketing Director, Vikrant Bhargava, owns the number 367 spot with an estimated fortune of £250m. The Gamesys brand threw up two multi-millionaires with Noel Hayden entering the charts at 440th place, with a £213m fortune, and 45-year-old Andrew Dixon settling in nicely at 839th place with a £107m fortune. The world’s first-ever betting exchange, Betfair, was responsible for turning these mild mannered people into cash stuffed supermen. Richard Koch was 568th with an estimated fortune worth £163m, earned not just through Betfair, but also through his works as an author and selling shares in companies like Filofax and Belgo. Regular fixtures Ed Wray and Andrew Black (Betfair co-founders) also feature with 774th and 863rd placements secured thanks to their £101m and £100m fortunes. The man who helped spearhead the online gambling revolution, Victor Chandler, is still doing rather well for himself. The man in charge of BetVictor placed at 571st with an estimated fortune of £160m. Bingo isn’t just putting a smile on my Grandmother’s face with a series of entrants who have earned their mattress fillers through the jangling of balls and wolf whistles. Father and son act, Jimmy and Simon Thomas, made their fortune when they sold the Thomas Group bingo chain for £80m in 2006. The pair has since bought the Hippodrome in Leicester Square, which they have turned into a £100m casino. The Thomas’s are ranked 713rd with a £110m fortune. Phil Cronin is another name to make a blast from bingo – 970th place for Cronin who holds the keys to the door of the £80m Tombola.com online bingo operation. Then you have the gamblers. Michael Tabor made his £600m fortune after starting out in life playing the currency markets, and investing in racehorses. The 72-year old finds a perch at 170th. And then you have two lottery winners. Colin and Chris Weir became the biggest ever UK winners of the Euro millions lottery when they won £161.6m back in 2011. They currently own an estimated £157m fortune, all the lighter after giving £5.25m to their charitable trust and £3m towards the campaign for Scottish Independence. The third largest UK Euro millions winner is Neil Trotter and he finds a spot in 835th place after his £108m win. The second highest UK jackpot went to Gillian and Adrian Bayford, but the pair have since split, and the Rich List writers assume that their £148.7m haul had been divided evenly which means neither makes the cut. I bet they are devastated. Owners of the gee-gees also get a mention. David and Richard Thompson ranked 218th place with a £480m fortune partly created through the Cheveley Park Stud in Newmarket; Jim and Fitri Hay were 307th with a £300m fortune earned through horse racing and oil; and finally Bill, Tim and Pollyanna Gredley shipped in at 631st with a £125m fortune earned through property and horse racing. Last but not least – and not even a gambling company, but one that features regularly on CA – are the men behind the arthritic-finger inducing Candy Crush Saga: Mel Morris (£430m), Riccardo Zacconi (£354m), and Stephane Kurgan (£85m) – the trio making their gazillions after the £4.2bn float in March of King Digital Entertainment.